First settled in 1719 but not incorporated until 1827, the town of Derry in Rockingham County is the fourth-largest municipality in New Hampshire (pop. 33,246). Originally part of nearby Londonderry, the town grew explosively when Interstate 93 was built in the late 1950s. 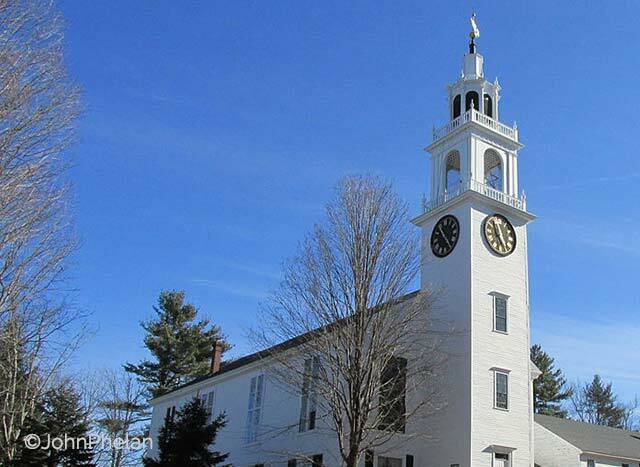 The town is also home to one of the United States’ oldest private schools, Pinkerton Academy, founded in 1814. Today, Derry enjoys the twin blessings of small-town living and proximity to the jobs and conveniences of nearby Boston. High median family income and a low poverty rate predominate, as in most of the area’s towns and cities. Local attractions include the Robert Frost Farm State Historic Site, which was home to the famed poet from 1900-1911. Extra-adventurous types can take an aerial tour of the area’s tremendous scenery aboard one of High 5 Ballooning’s hot air balloons. Tupelo Music Hall offers frequent live shows, while outdoor lovers can take a stroll through MacGregor Park or Hood Park. After a long day of sightseeing, visitors can try out one of several local dining venues, including MaryAnn’s Diner for breakfast and lunch or the Brooklyn Bagel Restaurant. Also try T-BONES Great American Eatery, Amphora and Sabatino’s North Italian Restaurant. Updated: 20th April, 2019 6:29 PM.